You’ve fallen in love with their iconic fridges, perhaps you even have one in your kitchen that you fall a little bit more in love with every day. Smeg's collection of small appliances is a continuation of their 50s style glamour theme, offering the colours, curves and character synonymous with the retro range. Whether you have the fridge or not, these little beauties are an inspired addition to any countertop space. View more from Slow Juicers, Smeg Blenders and Juicers. This juicer is a beautiful addition to our kitchen and is so easy to use and clean. It is actually very quick and easy to use, not "slow". The juices it produces are fantastic and flavorsome. 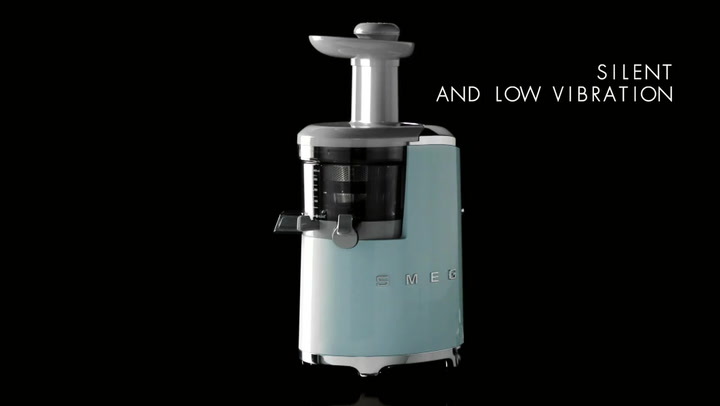 It is pricey but if you are a fan of Smeg it is well worth it.